Ratings roundup is a rundown of rating news from the past week and is derived from press releases and reports around the industry. 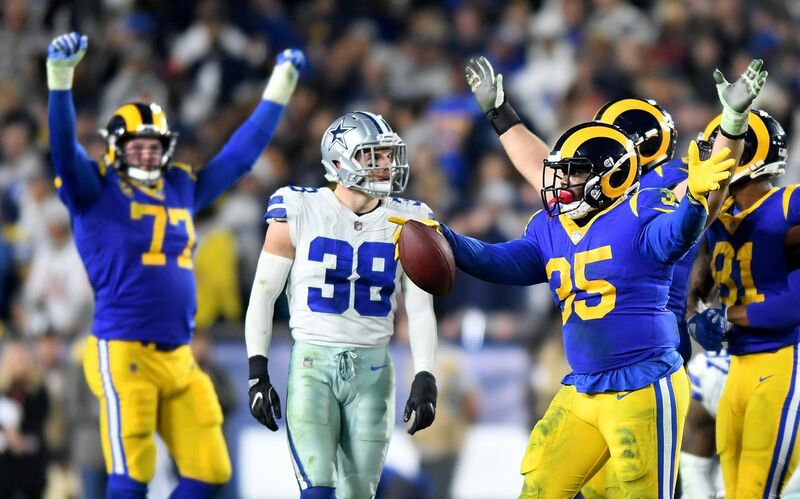 In this week’s edition, Los Angeles’ win over Dallas headlines the NFL’s Divisional round, Fox’s Premier Boxing Champions brings in the network’s most-watched boxing telecast, and Univision highlights their Liga MX coverage. 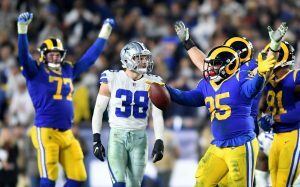 The Saturday night NFC Divisional matchup between the Rams and the Cowboys scored more than 34 million total viewers. On Fox, the game registered a 17.9/33 fast national rating/share, a +25% over last year’s comparable window (vs. 26,7 million). The linear broadcast captured 33.3 million viewers. On Fox Digital, the L.A. victory was the most streamed NFL playoff game ever with an average minute audience of 618,673, a +7 increase from last week’s Wildcard matchup on Fox (580,000). As for Fox Deportes, this was the most-watched Divisional game in history with 127,000 viewers. …According to SportsMediaWatch, the Patriots’ rout over the Chargers in the AFC Divisional Round earned a 17.1 rating and 29.2 million viewers on CBS, down 7% in ratings and viewership from last year (Jaguars-Steelers: 18.3, 31.4M) and down 14% and 21% respectively from Steelers-Chiefs on NBC in 2017 (19.8, 37.1M). …Lastly, on NBC, the Kansas City Chiefs’ 31-13 victory over the Indianapolis Colts averaged 29.1 million TV-only viewers – ranking as the most-watched Saturday 4:30 p.m. ET NFL Divisional Playoff in three years (31.5 million for Chiefs-Patriots on CBS, 1/16/16). FS1’s PBC Fight Night featuring undefeated challenger Caleb Plant defeating Jose Uzcategui for the IBF Super Middleweght Championships delivered 761,000 viewers, making it the network’s most-watched boxing telecast ever. The main event peaked with 986,000 viewers from 10:00 to 10:09 pm ET. With its live coverage of the Liga MX matchup between Cruz Azul and Guadalajara (Chivas), Univision captured the No. 3 broadcast network ranking, ahead of ABC, CBS, and Telemundo on Saturday night among Adults 18-34. Cruz Azul vs. Guadalajara (Chivas) attracted more Total Viewers 2+ (+42% to 1.0 million), Adults 18-49 (+63% to 511,000), and Adults 18-34 (+79% to 209,000) than the prior Saturday’s soccer match of Leon vs. Tigres UANL as well as increased the network’s audience levels in the 8pm to 10pm time slot from the comparable Saturday last year among Total Viewers 2+ (+21%), Adults 18-49 (+18%), and Adults 18-34 (+50%). The sports event also ranked within the top 10 most-watched programs on broadcast television and drove Univision to a first-place finish on Spanish-language television for the entire night with double-digit audience advantages over Telemundo among Adults 18-49 (+39% adv.) and Adults 18-34 (+35% adv. ).